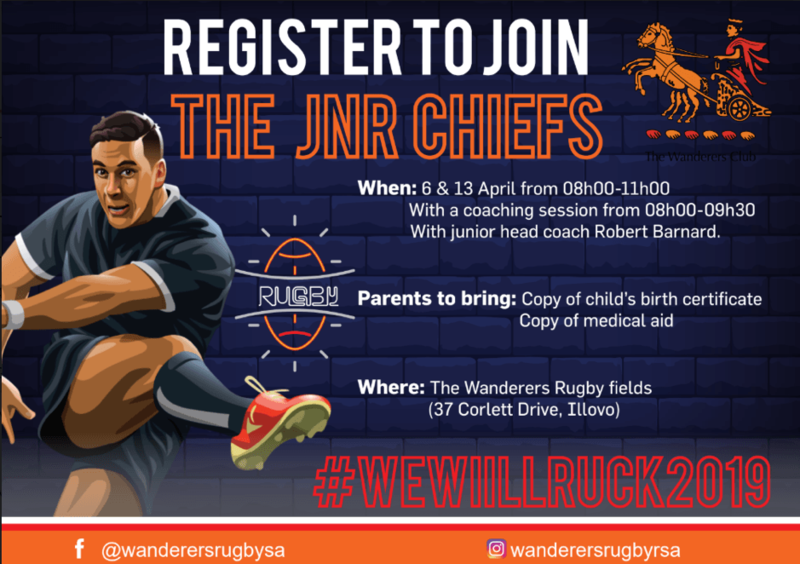 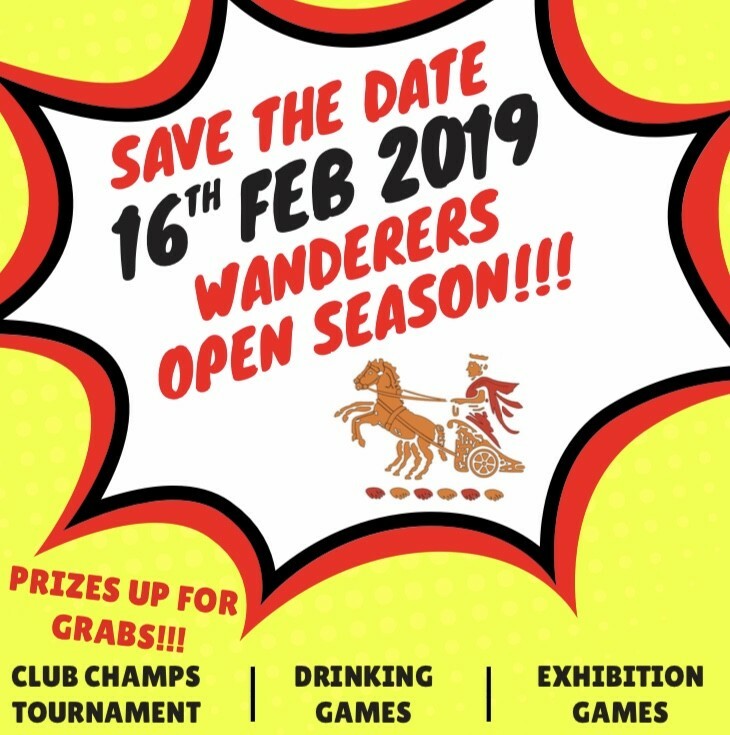 The Wanderers 2019 Open Season ❤️🖤💛 SAVE THE DATE!!! 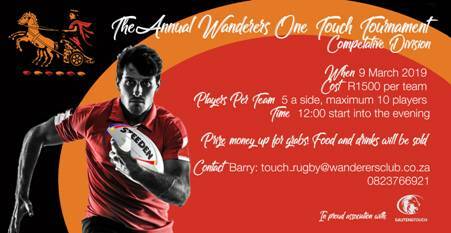 16th February 2019! 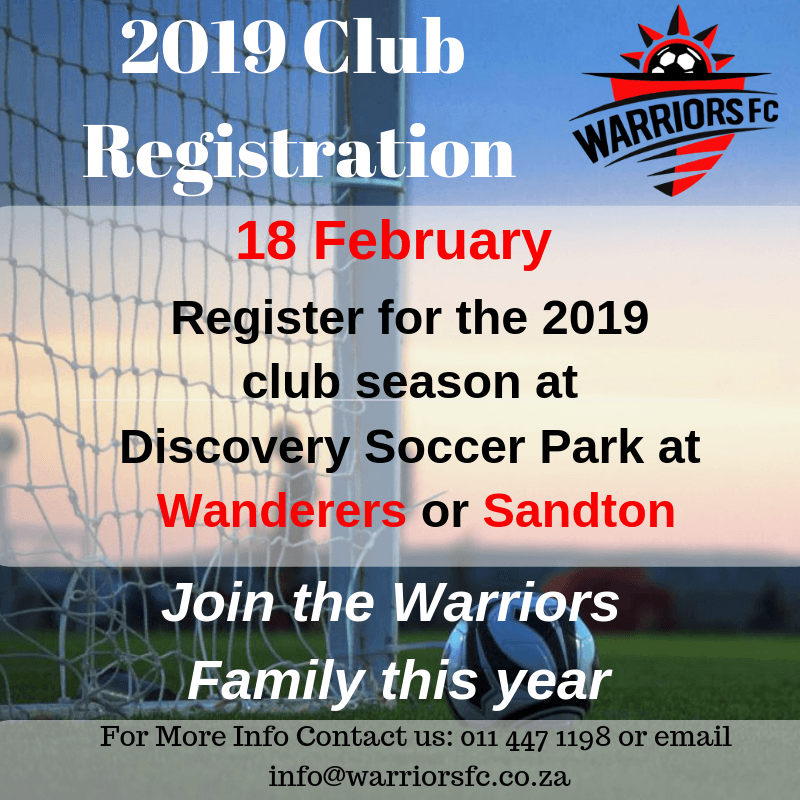 2019 Club Registration - 18 February Register for the 2019 club season at Discovery Soccer Pak at Wanderers! 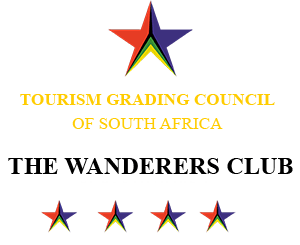 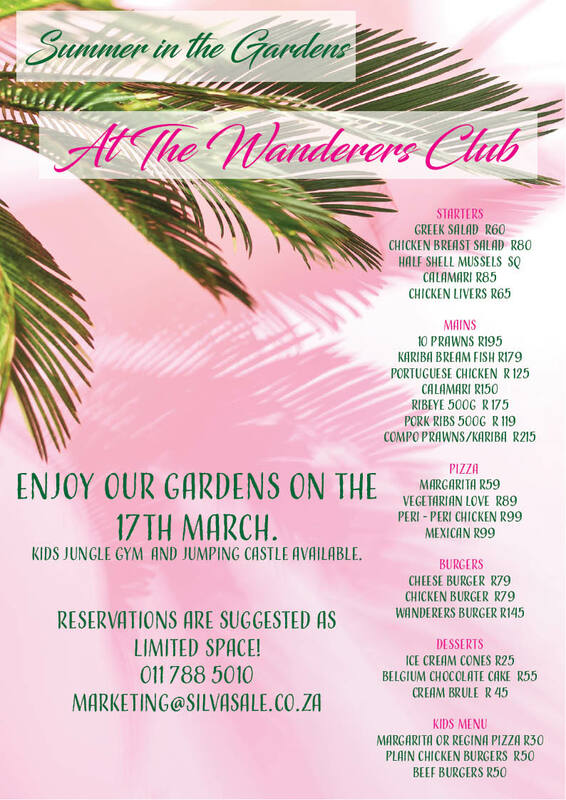 This Sunday, March 17th, come to Wanderers to relax and enjoy our stunning gardens while the kids have fun on the jungle gym and jumping castle! 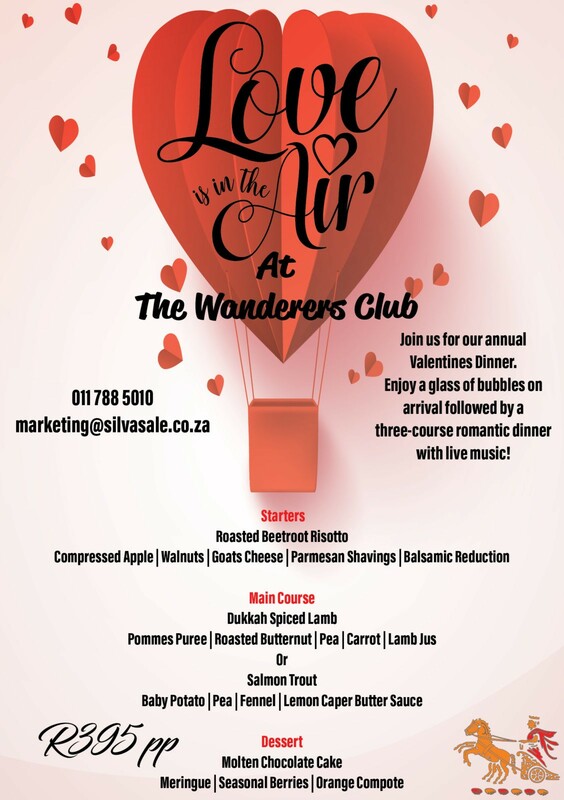 Our first exclusive wine and food tasting evening. 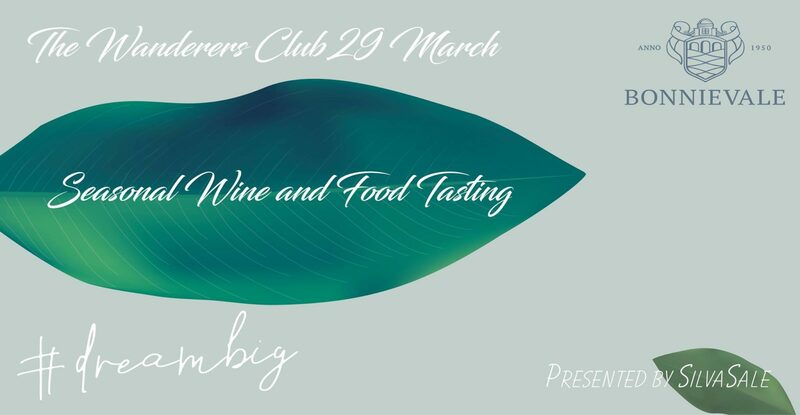 Enjoy an evening filled with tasty delights and truly inspiring wine pairings. 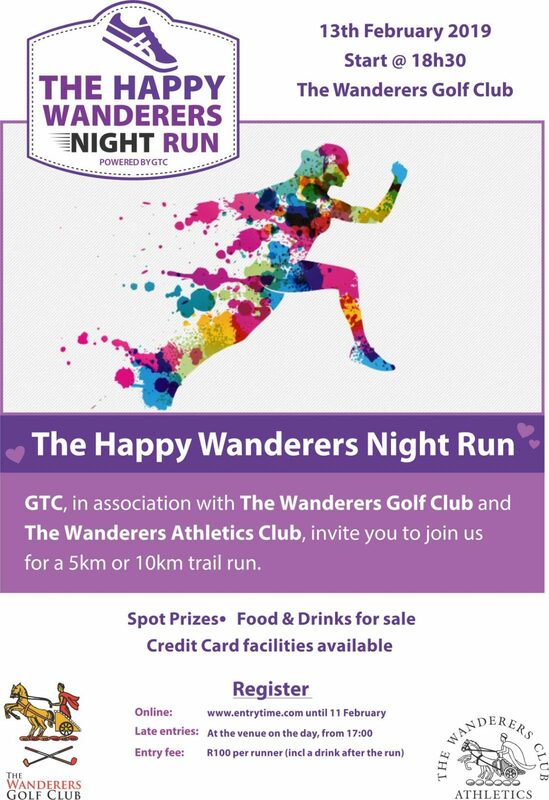 Limited to 40 guests.